Betfair is offering unique promotions for three of its most popular products: a £30 in free bets at Betfair Sportsbook, a £20 free bet and £1,000 cash back on commissions at Betfair Exchange, and a £300 welcome bonus at Betfair Casino. To register with Betfair, simply click here to visit the Betfair promotion page, and click on the Join Now button. During the registration process, set up and verify your banking information so that a deposit can be made, which all of these bonuses require. Also, be sure to enter or double check the Betfair Promo Code/Referral Code field to ensure you are receiving the welcome bonus of your choice. Be sure to check the How to Claim sections below describing the promo codes and bonuses available. 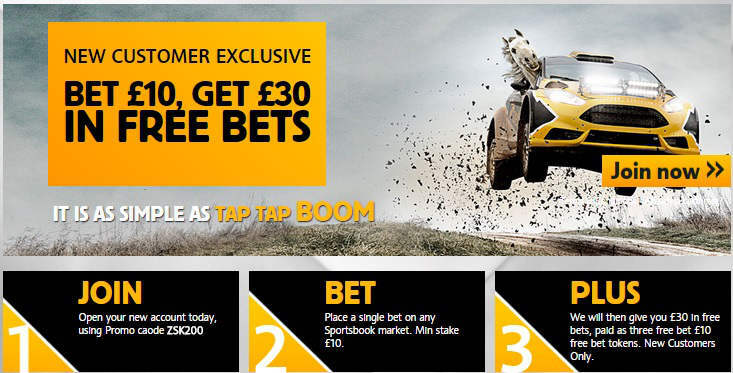 Exclusive Betfair promo codes for free bets and special promotions. The proper promo code should AUTOMATICALLY get filled in on the registration page for you when you click through any of our links. When making your first deposit at Betfair, you have to decide which initial deposit bonus you would like to take advantage of. Below we describe the Betfair Sportsbook free bet, the Betfair Exchange free bet and cash back offer, and the Betfair Casino welcome bonus. The Betfair Sportsbook will give you three (3) free bet tokens worth £10 after you make a qualifying single sports bet of at least £10! This offer is only available to new account holders registered in the United Kingdom and Republic of Ireland. This promotion does require a promotional code when registering your new account, so while it is normally possible to queue several bonuses and promotions, this one will interfere with the Betfair Exchange cash-back offer and vice versa. To claim the matched bet, you must use the promo code ZSK200 during the registration process. You will then have 30 days to place his or her first bet. The minimum stake at Betfair Sportsbook to qualify for this promotion is £10. Eligible bets must be a single wager placed on odds of at least 1.2 (1/5). Any sportsbook market is allowed. Win or lose, Betfair will then credit your three free bet tokens, each worth £10 for a total of £30 in free bets. The free bet token must be used on a single wager with odds of at least 1.2 (1/5). There are no other restrictions, and the matched bet never expires. The matched bet must be placed, but the bet amount is cashable, and all winnings derived from it are the client’s to keep. There are no other wagering requirements, but note that Betfair will not allow a withdraw until the matched bet is used and settled. Betfair Exchange provides all new clients a free bet up to £20 if they should lose on their first wager. Think of it as insurance. In addition, Betfair provides new clients cash back on commissions. Each time a client wins a wager, he or she must pay a commission to Betfair, which is usually around 5 percent. During a client’s first three months of participating at the exchange, Betfair will return £50 for every £100 in commission generated up to £1,000. 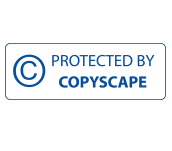 Being eligible for the cash back on commission requires use of the current and proper promotional code VAL222 (at the time of this writing) during account registration. In addition, clients are only eligible for the exchange free bet during the seven days after registering their new account. Nearly any wager is eligible, but it must be at least £20 and not unmatched, unsettled or voided upon completion. If that wager loses, Betfair will immediately deposit a free bet of an equal amount up to £20. The free must be placed but does not expire and can be used however the client otherwise sees fit. The cash back on commission is a return to the player and not bonus money. It is cashable. The free bet is not and must be used and settle before withdrawal is allowed. However, there are no other wagering requirements or withdrawal restrictions on either the free bet or the cash back. 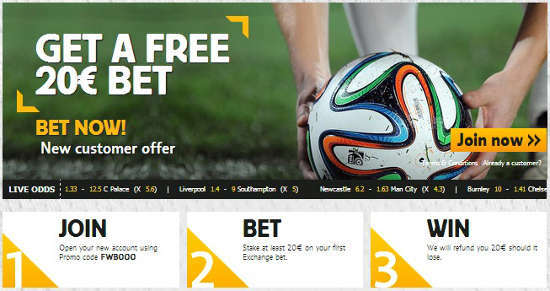 Click here to read our more detailed review of the Betfair Exchange free bet offer! 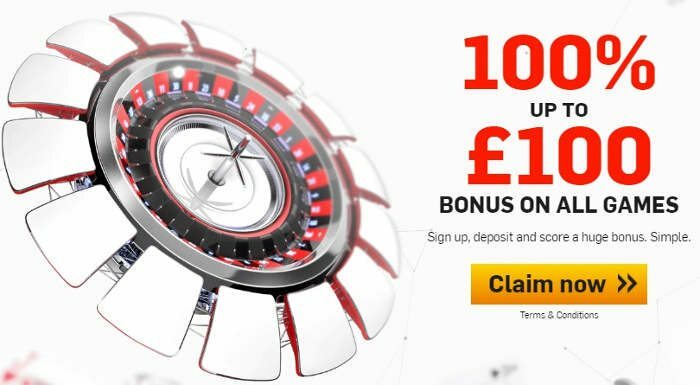 We offer several different Betfair Casino welcome bonuses below. Choose the best one for you! Just click the above graphic and register your new account with Betfair promo code CASN05 and receive the £5 no deposit bonus! Register your new account with promo code CAS555 and make a deposit of £100, and you will receive a 100% matching bonus of £100. Note that Betfair differentiates buy-in from deposit because it offers a single wallet you can deposit to, and then distinct gambling products which you can transfer chips into. 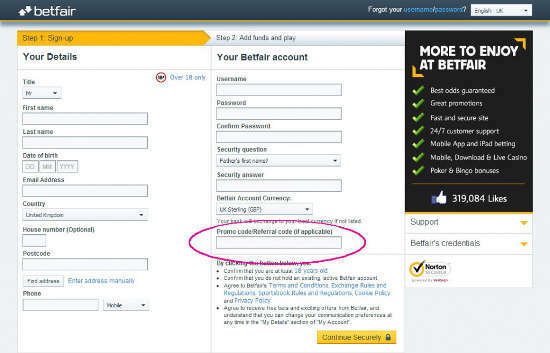 After depositing money into a Betfair account, you must then transfer it, or buy chips for the casino. 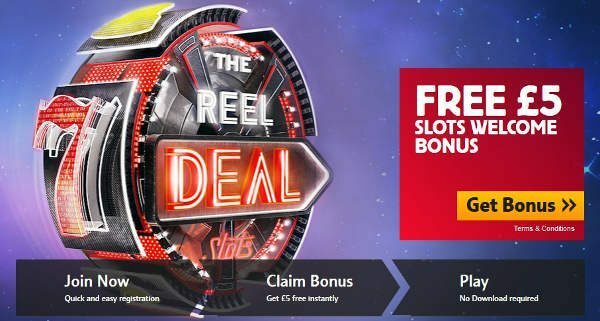 The casino promotions are open to all players buying in to the casino for the first time even if they already have a Betfair account and have participated in other Betfair products. If you are new to Betfair, use this link to visit the Betfair Casino page. Once a Betfair account is created, and you have signed in and a deposit has been made and cleared, use the account management interface to assign at least £10 to the casino wallet. No redemption codes are necessary. If this is your first casino buy-in, Betfair will automatically recognise that fact and immediately apply the appropriate bonus amount to your playable bonus balance. The welcome bonus can be used immediately. Any ineligible games will be listed alongside the bonus in the user interface, but for the most part, no games are off-limits. However, note that not all games contribute to the wagering requirements fully and some not at all. The welcome bonus is cashable once the wagering requirements have been met, and Betfair does not permit withdrawals until those requirements are met. The requirement is 37 times the bonus, which amounts to £11,100 if the player took full advantage of the offer. Games that do not contribute fully to the requirement include card games, American roulette games and Sic Bo at 20 percent; blackjack games and French roulette games at 10 percent; and craps and video poker at 5 percent. Note that Betfair defines irregular play actions that can void the promotion, such as wagering more than 30 percent of the bonus on a single event. Click here to visit Betfair! I have several accounts at the top online bookmakers and Betfair is my favourite. They regularly offer the best odds on lines I want to take. I also have accounts at Will Hill, Laddies, and Betfred, but I find that I place my bets more often at Betfair (exchange more than sports). If you do not have an account at Betfair, you should open one up and always have it ready!